Located in the historic Washington Avenue Loft District, The Annex Lofts is in the heart of St. Louis' vibrant urban renaissance. Just minutes from leading sports and entertainment venues, downtown business district employers, and a mix of trendy restaurants and nightlife, The Annex Lofts is close to everything. A lifestyle of comfort and luxury awaits you. Begin your day with an invigorating work-out in the fitness center. Unwind after work in one of the spas in the patio/garden area. Picture yourself living and entertaining in a beautiful new condominium home. Enjoy the sense of community that surrounds you when you call The Annex Lofts home. The Annex Lofts are authentic residential loft spaces combining the texture and authenticity of the circa 1917 Ely & Walker Dry Goods Building with modern interior design. The twenty-two unique, flexible floor plans and an extensive variety of finish choices enable you to design your loft home to fit your lifestyle. Quality workmanship, generous floor plans, and a great location are just the beginning when it comes to value. Each loft home features a desirable mix of original architectural elements and new modern amenities. Added value comes from secured garage parking, a complete kitchen appliance package and upscale professionally-designed common spaces. 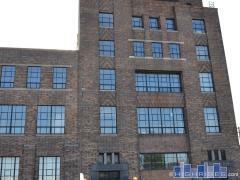 Have any comments or questions about Annex Lofts? Ask your question and/or share your thoughts about this Building.